Tiny organisms could replace controversial live animal testing. (ISNS) -- Mascara is a staple in many women's beauty routines, helping to give the eyes the coveted "pop." But before a new cosmetic hits the market, it must be tested to determine how much it could irritate the eyes it adorns. 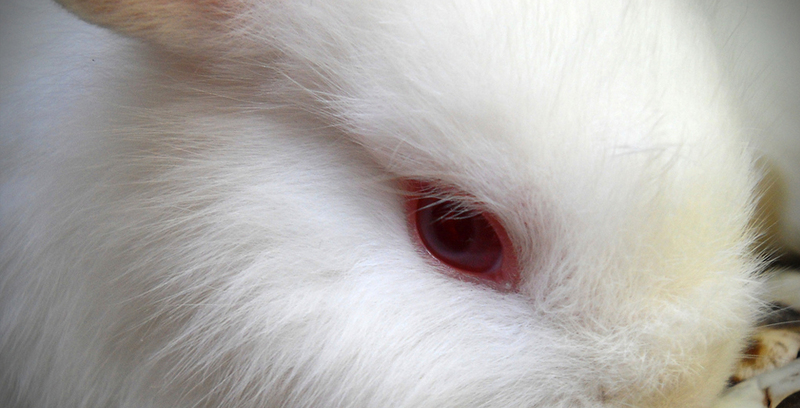 In the U.S., this can be done using traditional live animal testing methods, such as the Draize test, which involves applying mascara or other test chemicals to the eyes of albino rabbits. However, over the last 20 years, scientific breakthroughs, new legislation and ethical concerns regarding live animal cosmetic testing have led to an increase in the development and validation of alternative tests. These range from testing cosmetic toxicity on the corneal layer of removed cow eyes, to cellular tests that detect and monitor cells’ pH levels after chemical exposure. So far, no single test on animal tissue has been accepted as a complete replacement for the Draize test for all types of chemicals. But a new study conducted by scientists at the University of Liverpool in England suggests that utilizing very tiny model organisms – ciliated protozoa – may be a cheaper, reliable alternative to live mammal mascara testing. David Montagnes, a protozoologist at the university’s Institute of Integrative Biology, and undergraduate student Hayley Thomason decided to use protozoa as model organisms for their research because of their ability to act as living detectors for environmental toxins. For the study, Thomason chose six commercial mascara brands at random and painted thin layers of each onto microscope cover slips, which were placed in chambers filled with the protozoa. Thomason and Montagnes were able to examine the mascara’s potential toxicity by measuring the tiny organisms' growth rate. They used two ciliates – so-called because of the hair-like structures on their exterior. One is the Paramecium caudatum, also known as the slipper ciliate because of its shape. The other is Blepharisma japonicum, nicknamed the eyelash ciliate for its long row of cilia. Both were chosen because of their large size, historic use as model organisms and genetic similarities to humans. Because of the ciliates' size, Montagnes and Thomason were able to use a microscope to observe and measure the population growth, which varied according to the brand of mascara and the amount of mascara in the chamber. Some brands killed the protozoa, while others left them unscathed. Montagnes said the study is a “proof of concept” – a cheap and easy way to test toxins and reveal differences between products. “Are those differences related to something that’s going to affect humans? Since both of the cells that we used are eukaryotic cells, and we’re made up of eukaryotic cells, you would expect that there would be some correlation there,” Montagnes said. Besides being inexpensive and resilient, Montagnes said protozoa are ideal because they have a similar metabolism to higher animals, but aren’t classified as such. Now that the study has been published in the International Journal of Cosmetic Sciences, Montagnes said the next step is cross-referencing the research with epidemiological work or biomolecular techniques. Barile noted that there is much work to be done and “stringent criteria” to be met before the method could be validated by the U.S. government or the European Union. He said scientists need to continue testing with protozoa, and added that testing a larger sample of chemicals that have already been tested with other methods would add to the validity of the study. If ciliated protozoa do prove useful in cosmetic testing, Barile said the outcome would be a new sensitive, non-animal test – one that fits into the overall goals of the cosmetic toxicology field. He summarizes those goals as reducing the number of higher animals used in tests, refining tests so they’re less painful and developing tests that don’t require any higher animals.